The Washington County Water Conservancy District of southwest Utah proposes to build 140 miles of pipeline from Lake Powell with pump stations to lift the water over a divide (elevation of 6,240 feet) to St. George and Kanab. The water right for the Lake Powell Pipeline is junior to the projects that are currently operational under the Central Utah Project and its Units. The proposed annual Colorado River depletion for Washington County is 82,249 acre-feet, with a pipeline lateral to carry 4,000 acre-feet to Kane County; the combined depletion is 86,249 acre-feet. There was once a discussion for a lateral pipeline to carry 13,249 acre-feet to Iron County, but Iron County has since exited the planning process because of project's high costs. The total projected price has been escalating over time and presently estimated to range from $1.5 billion to $2.5 billion. So far $25 million dollars has been spent on planning documents by the state of Utah. The reservoir that stores water for the proposed Lake Powell Pipeline is actually Flaming Gorge Reservoir, which is on the Green River in Utah and Wyoming. Flaming Gorge Dam would release the water to flow down the Green River and eventually into Lake Powell. Lake Powell is merely the point of diversion for this project. The water rights stored in Flaming Gorge Reservoir were segregated from the Central Utah Project in 1996. This water is called the "Ultimate Phase" and the total depletion is limited to 158,800 acre-feet per year. Additionally, the water right for the LPP was to expire in 2009 and the State Engineer granted an extension with a caveat that the project must begin depletions by October 31, 2020. It seems unlikely that the deadline will be met and the Division of Water Resources will have to ask and justify an extension. The competion for Ultimate Phase water are various irrigation projects near the Green River. For example, the proposed Green River Nuclear Powerplant, several proposed solution mining operations for potash, conventional oil and gas development, and unconventional tar sands and oil shale development. However, the states of Wyoming and Colorado are also competitors for water stored in Flaming Gorge Reservoir. For example, the proposed Flaming Gorge Pipeline that parallels Interstate 80 in Wyoming and Interstate 25 in Colorado. In 2007 the Bureau of Reclamation sent this letter to the Upper Colorado River Commission explaining the projected 40-year supply of water in Flaming Gorge Reservoir for the headwater states of the basin is only 165,000 acre-feet per year. When the seven states conclude their "contingency planning" document in 2016 (now delayed two years), this 40-year projection will probably be reduced by at least 30%. In reality, what needed to occur is: the water rights of the Ultimate Phase should have been completely extinguished from the system. Because this did not happen, these water rights will become a future administrative nightmare that will eventually have to be settled in the judicial system or by an act of Congress. 2017- State of the Colorado River and Implications for Utah. Millis. Clarification of proposal and interested parties. 2016 - Feasibility of Lake Powell Pipeline Development Act and Proposed Water Conservation Alternatives. Criddle. 2015- A Performance Audit of Projections of Utah's Water Needs. Legislative audit. 2015 - LLP Update. LLP Management Committee. 2015 - LPP Economic Analysis. U of U Letter to Utah's governor and state legislature. 2015 - Response by Utah to economists. St. George Spectrum. 2015 - LPP Impacts: Executive Summary. URC. 2015 - Analysis Summary. URC. 2015 - Six Month Report to FERC. UDWR. 2015 - Environmentalists Say Vague Lake Powell Pipeline Plans Hide High Cost For Utahns. Salt Lake Tribune. May, 2014 - Update. Taxpayers of Kane County. March 20, 2014 - Pipeline Project Studies Continue. St. George Spectrum. 2011 - Local Waters Alternative. Western Resource Advocates. The sensitive material of the archeology report will not be made public. The ethnographic report is still pending. These documents were submitted in accordance with the Federal Energy Regulatory Commission (FERC) by the Utah Division of Water Resources for the potential licensing of Lake Powell Hydroelectric Project No. 12966, otherwise known as the Lake Powell Pipeline. Originally the proposed project would deliver 100,000 acre-feet (annually) of Colorado River water from Lake Powell to Kanab, Washington and Iron counties. Recently, Iron County decided to drop out of project because of the exorbinante cost. The new projected depletion is 73,000 acre-feet. The project proposal also includes a component to generate electricity to defer a portion of the operating costs. 1995 - Lake Powell Pipeline Feasibility Study. Boyle. 1995 - Need and Purpose Study. Boyle. 2000 - Washington County Water Supply Report. Hydrosphere. 2007 -40-year yield of Flaming Gorge Reservoir. Reclamation. 2008 - Notice of Intent for Lake Powell Pipeline. 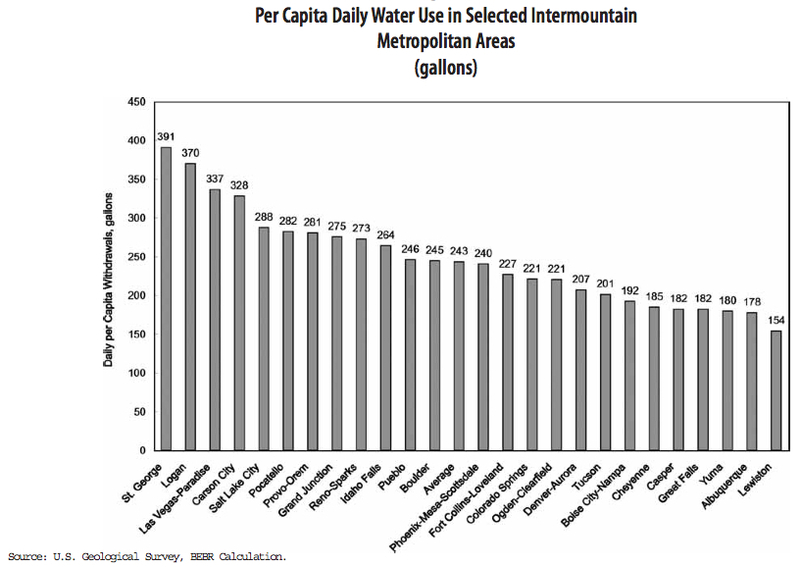 Utah Water Resources. 2008 - LP Pipeline Report Socioeconomic Resources. Tufte. 2009 - Utah Policy for Water Rights on Green River. State Engineer. 2009 - Upper Colorado River Basin Policy & Issues. UDWR. 2011 - August Water Issues Task Force Meeting: Funding difficulties for the Lake Powell Pipeline & September Water Issues Task Force meeting. MP3 recording. Supporting Document & Salt Lake Tribune article. Motion to intervene: Citizen's For Dixie's Future et al. Motion to intervene: Central Arizona Water Conservation District.